IMA would like to welcome Martin Tauber to his new volunteer role as IMA European Committee Chairperson. Martin brings a wealth of industry knowledge and experience to this position which will serve the European magnesium and IMA communities very well. IMA is extremely excited and appreciative to Martin for volunteering in this capacity. 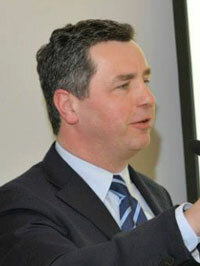 Dr. Martin Tauber is the first President of the Critical Raw Material (CRM) Alliance/ Brussels. Martin is an international marketing, sales & business development executive with more than 20 years’ experience. Martin is engaged and determined to stimulate the need of magnesium metal and to introduce a more environmental-friendly primary and secondary production on a global level. Since 2009, Martin has worked as an independent industry consultant where his first 5 years were exclusive to Magontec serving as Vice President of Strategy & Business Development. He has also represented various industries in European and international Trade & Business Associations including the International Magnesium Association (IMA). Martin is a registered EU expert. Previously, he has held various sales & marketing positions working for: CSO for EOC Group/Belgium; Norsk Hydro Magnesium/Belgium, Norway; Borealis AB/Sweden; and PCD Polymere/Austria. He holds an Engineering degree and a PhD in Social and Economic Science from the University of Linz, Austria. Prior to Mr. Tauber, Martyn Alderman, Magnesium Elektron, has served in the committee chairperson role since mid-2016. Under Martyn’s leadership, this committee has greatly advanced and championed many initiatives important to the European magnesium community. IMA would like to thank Martyn for all his work and dedication while serving in this role. His efforts and time were greatly and genuinely appreciated.